With the ExhibitCore Viewer you can view your floor plans and designs on your mobile device. Simply download the app and login to your account to view floor plans you have created. You can then navigate your floor plan in 3D with orbit and walk-through modes. You can even generate links or QR Codes to your floor plans so you can share them with anyone on a tablet or phone. 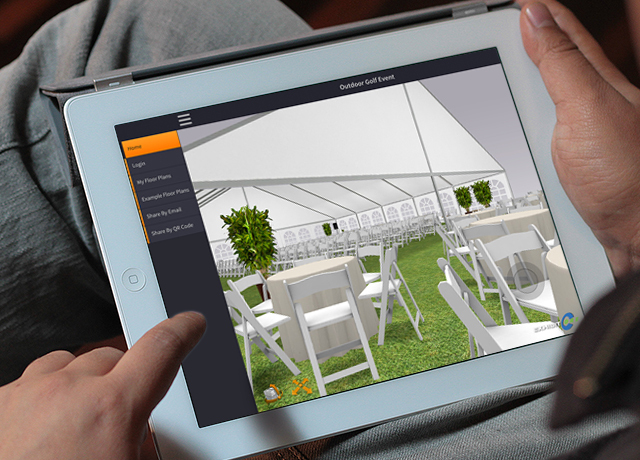 Event planners, exhibitors, meeting planners or other event professionals can use this app to visualize any space. The app provides floor plan visualization solutions for trade shows, exhibits, expos, fairs, corporate events, booths, stands, corporate meetings, parties, weddings, homes, offices and much more.